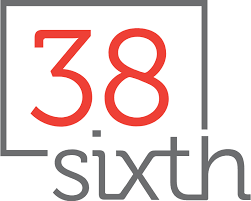 Please count all individuals who will be living with you at 38 Sixth, including current roommates, children, parents, siblings, partner, or spouse. Households comprised solely of married or similarly committed couples are only eligible for 1 Bedroom units. Households comprised of roommates must meet definition of "financial interdependence" as defined by HDC. Please total income from all sources of all household members over the age of 18. This includes wages, bonuses, tips, unemployment compensation, alimony, child support, pension benefits, Social Security benefits, recurring gifts, and public assistance. Is the income for all residents? Do you own residential real estate within 100 miles of New York City? To learn more, please fill out the form below and our leasing team will contact you to schedule a tour. Please bring a government-issued ID to your tour. Qualification is subject to unit availability at the time of tour; prospects may be added to the waitlist if the qualifying unit type isn't available at time of tour. Applicants are subject to income qualification by HDC Household composition is subject to HDC requirements for unit size. unfortunately based on this preliminary quiz you are not eligible. please fill out the below or call 347.391.6355.